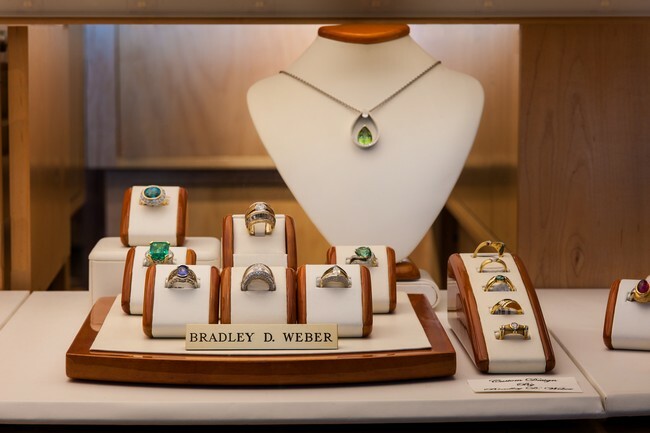 Brad Weber is a jeweler of distinction with a special flair for personal service. Whether he’s designing custom pieces for heads of state or celebrity clients, Brad works with his clients and uses his artistic insights to create stunning, one-of-a-kind collectors pieces. Customers can also choose from a impressive selection of beautifully designed pieces from jewelers & artisans including Gordon Aatlo and Mouawad, William Levine, and Faberge to name a few. Sterling silver collections from Europe and Hawaii also await you.